The Comfort Inn Randolph - Boston hotel in Randolph, MA, minutes from Boston Logan International Airport, will get you rested and ready to go for leisure or business. Our smoke-free leisure hotel is near Nantasket Beach, Fenway Park, Gillette Stadium and Curry College. 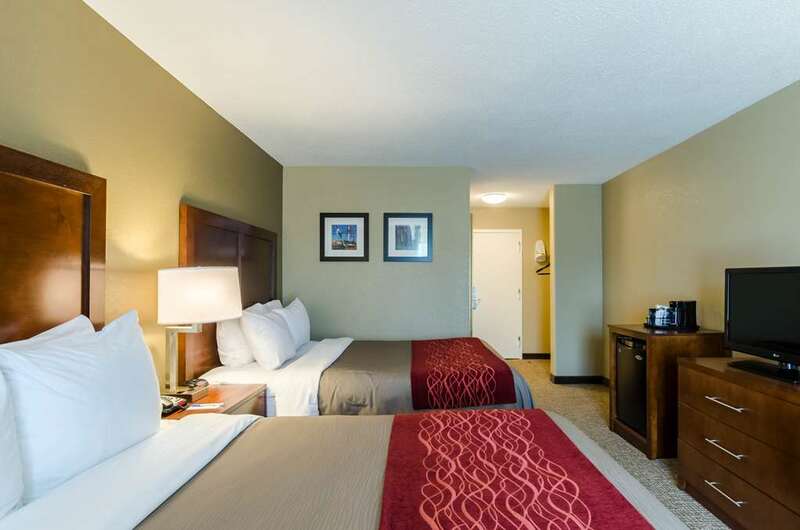 Our valued guests enjoy amenities that include free hot breakfast, free WiFi, an indoor heated pool, fitness center and guest laundry facilities. Each comfortable guest room features a TV, coffee maker, desk and hair dryer. Select rooms include a microwave and refrigerator. Also, earn rewards including free nights and gift cards with our Choice Privileges Rewards program.